Welcome to our special projects blog for the Library’s chapbook project. 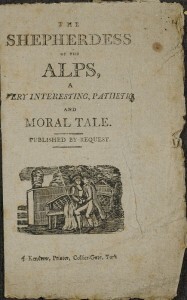 These pages will provide information about the McGill Library’s Chapbook Collection, a digitization project, that began in 2011. 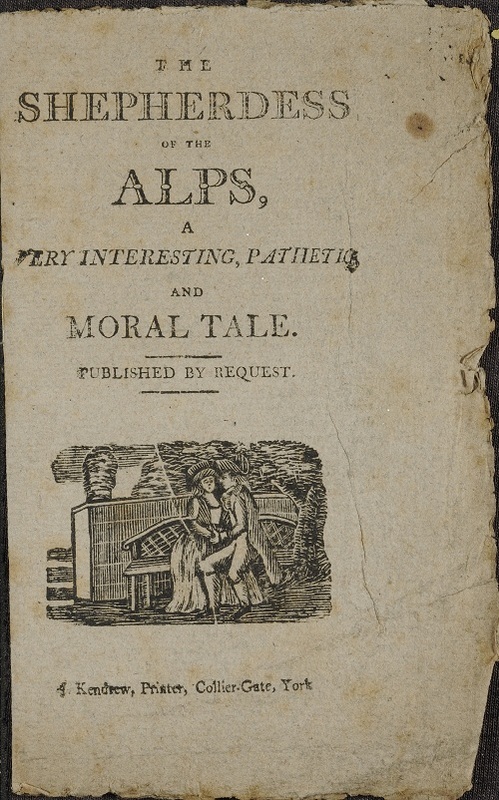 Over nine hundred British and American chapbooks published between 1780 and 1878, from Rare Books and Special Collections are being digitized to create image and text files.The text files will be TEI-encoded following Best Practices for TEI in Libraries. A web interface will be created to enable McGill faculty and students to conduct digital humanities research. We hope to have a prototype website available by May 2013. The McGill Library’s Chapbook Collection was made possible through a generous donation from the Harold Crabtree Foundation. All images on this blog are licensed under Creative Commons Attribution-NonCommercial 3.0 – http://creativecommons.org/licenses/by-nc/3.0/deed.en_US. For information, please contact Rare Books and Special Collections, McGill University Library.